Second printings of comics are great. Extended series orders for comics are great. When both of those great things happen to a great series? That’s pretty… you know. Yes, BOOM! 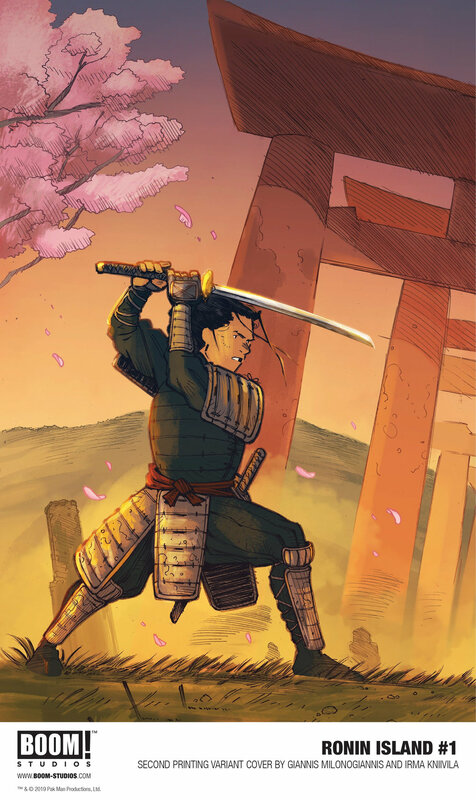 Studios’ Ronin Island #1 has been rushed back for a second printing, and because it’s been so well received, the publisher has also bumped the initial five-issue order up to a full 12. That means we have the whole year to enjoy Greg Pak and Giannis Milonogiannis’ Pan-Asian zombie comic. Check out the details below, and check out the series if you haven’t already, too. Ronin Island #1 Second Printing Variant will hit comic shops on April 24.